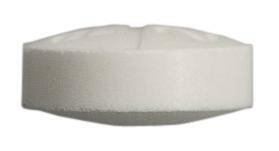 Wherever corticosteroid therapy is indicated such as: pemphigus vulgaris, allergic dermatitis, eczema, exfoliative dermatitis, dermatitis herpetiformis, dermatitis medicamentosa, erythema multiforme, disseminated lupus erythematosus, dermatomyositis, polyarteritis nodosa, severe bronchial asthma and status asthmaticus, emphysema, pulmonary fibrosis, adrenal hyperplasia (adrenogenital syndrome), idiopathic thrombocytopenic purpura, acquired haemolytic anaemia, acute leukaemia, nephrotic syndrome, iridochoroiditis, ulcerative colitis, rheumatoid arthritis, ankylosing spondylitis, rheumatic fever, gout, periarthritis of the shoulder. 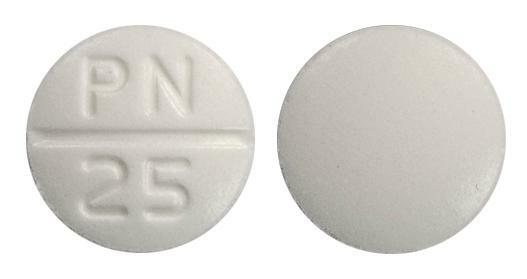 Round, biconvex, white, scored tablet debossed with "PN/25" on one side and plain on the other. 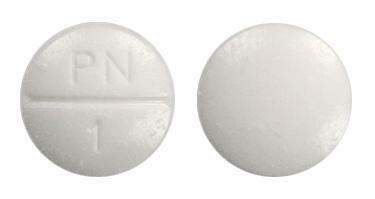 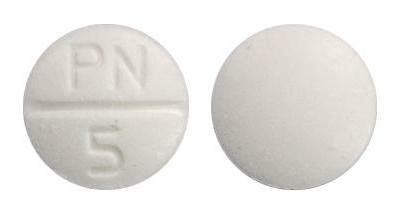 Round, biconvex white scored tablets, debossed with "PN/5" on one side and plain on the other.